Calphalon® continues its leadership in the cookware industry by solving an everyday kitchen dilemma: space! 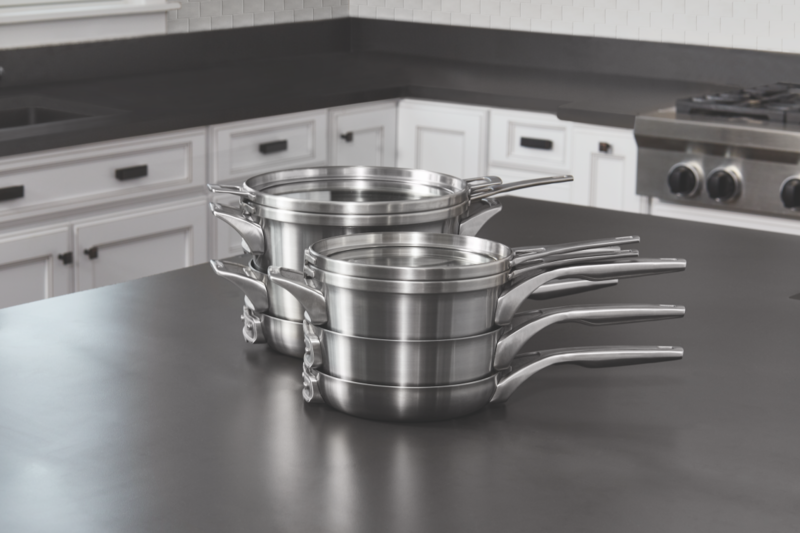 Available in nonstick and stainless steel, the Calphalon Premier™ Space Saving Cookware’s unique design allows for the cookware to nest in any order*, making it convenient to stack any way you want and save 30% more space**. 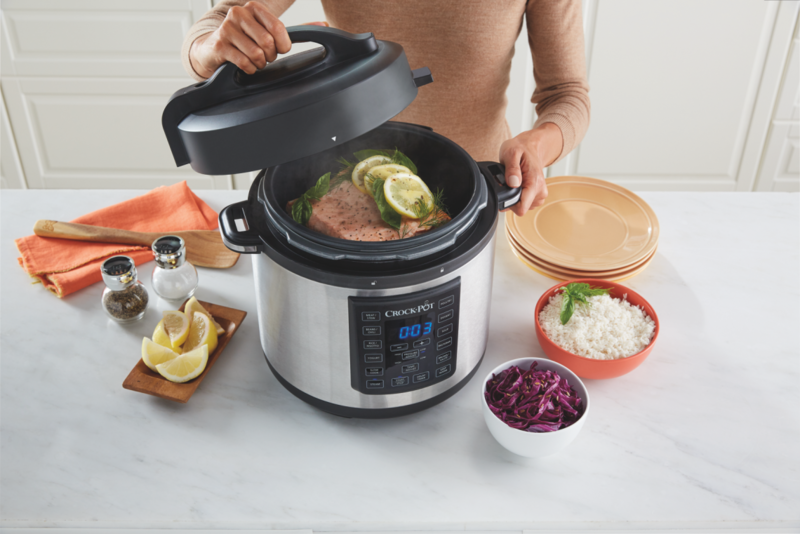 The Crock-Pot® Express Crock Multi-Cooker is an all-in-one appliance that gives home chefs the ability to cook meals up to 70% faster than traditional cooking methods. This new addition to the Crock-Pot product portfolio provides the flexibility and versatility to prepare a variety of hot, home-cooked meals all week long – even with the busiest of schedules. The Contigo® West Loop with AUTOSEAL® technology is made for the modern movers, shakers, commuters, travelers – and for the urban explorer in all of us. This larger capacity mug is spill-proof, will stay piping hot for hours and it’s easy to use with just one hand. 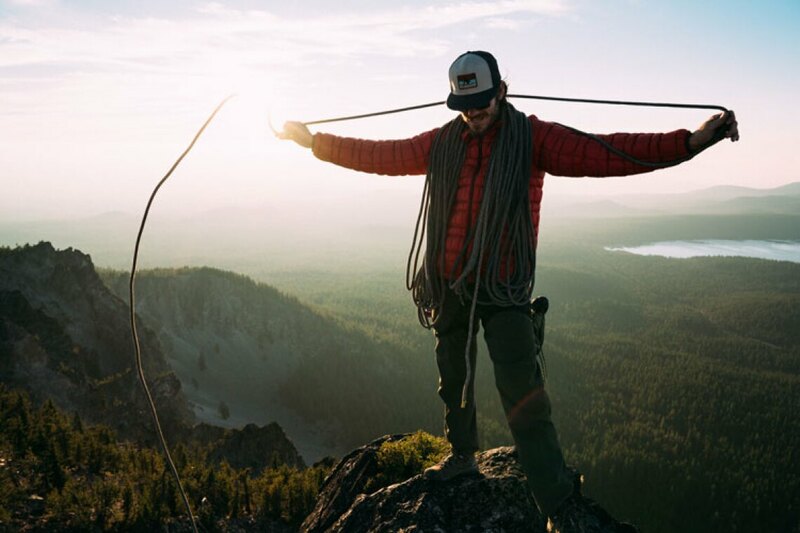 Marmot Featherless Insulation is the first synthetic insulation with the warmth of 700 fill power down. While traditional down loses warmth when wet, Featherless keeps performing — so you’ll never think twice about the weather. Plus it packs tight and travels light, and its sustainably-produced materials are BlueSign® approved. 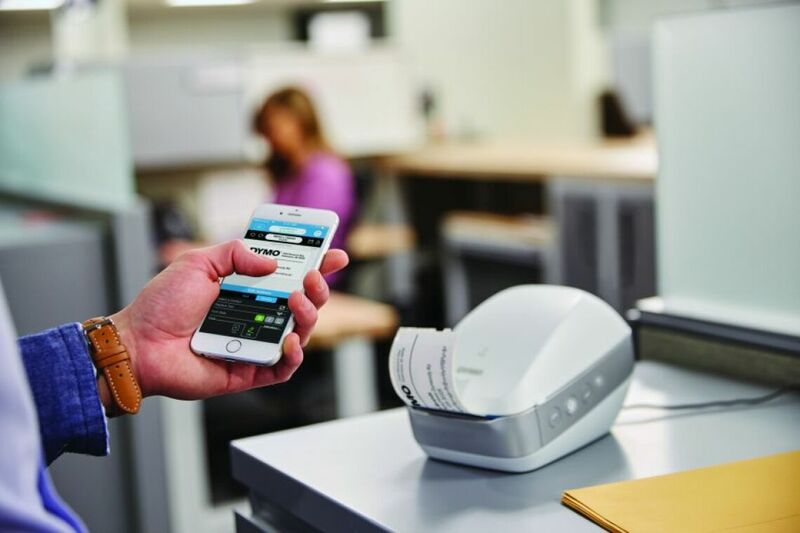 DYMO®’s new LabelWriter® Wireless is a high-speed label printer that allows users to print labels without cables using Wi-Fi®, perfect for any business or office setting and all filing, mailing, storage, identification and organization needs. You can also showcase your creativity with a vast array of colors and fonts.